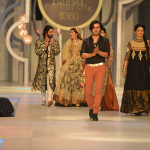 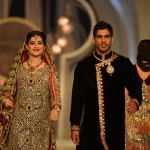 Pantene Bridal Couture week Collection 2013.Party waer Pantene Bridal Couture week Collection 2013.Saim Ali is expert in bridal and groom collection that’s way he is getting well success in this field. 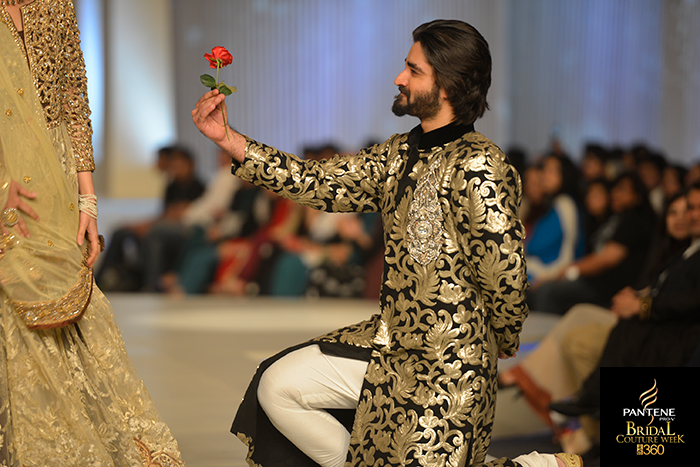 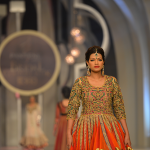 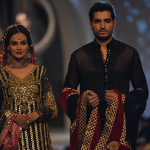 He introduced bridal wear lehenga, frock for ladies and sherwani’s for men. 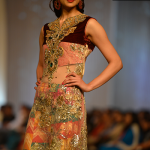 In this fashion week you can seen heavy embroidery lehengas, Georgette lehenga, stone work neckline fancy suits and many more. 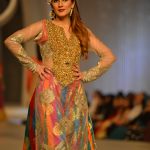 The use of fabrics in this fashion week such as chiffon, Georgette, silk, velvet and net included heavy embroidery, zari work, stone work, laces added more stunning look in each outfit. 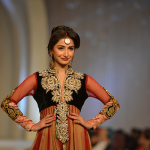 The famous Pakistani female Shaista Lodhi (Pakistani Anchor and Morning Shows Host) and Noor (Pakistani Actress and Model) will seen in shows topper bridal dresses in the ramp of Pantene Bridal Couture Week 2013.Wedding Brida waer Collection.